Search for the best flight prices from Stansted to Figari. Compare prices, book today and save money with Stansted Airport. Figari, situated on the island of Corsica, is in the Corse-du-Sud department of France. Its Figari-Sud Corse Airport serves the south of the island, making it a gateway to Bonifacio and the resorts of Porto Vecchio. Figari is blessed with both a coastal and mountainous backdrop, and offers a slower, more rural pace of life, while also being close to some of the busier areas of the island. Figari’s history dates back to the Romans, and it was frequently invaded during the Middle Ages. There are several monuments you can visit to get a real sense of its history, including the San Quilico di Montilati, a small Romanesque chapel built in the 1600s. Other highlights include the Genoese towers in Corsica, almost 100 of which were built as coastal defences between 1530 and 1620, and which now stand as distinctive sights along Corsica’s coastline. If you want a luxury break, look no further than U Capu Biancu. 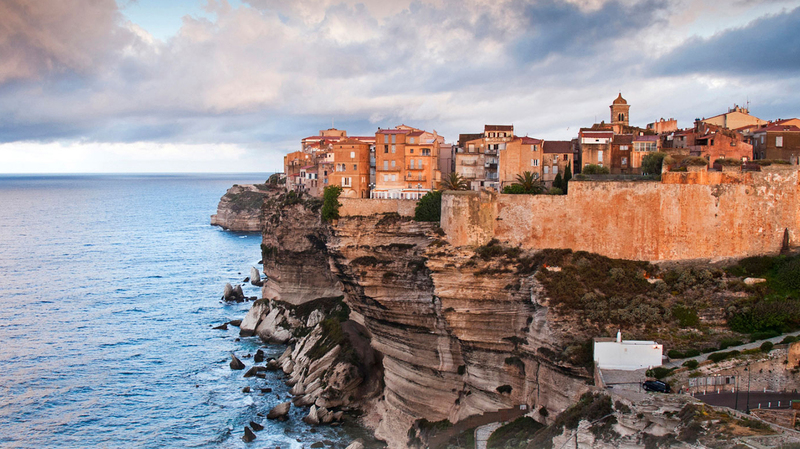 This scenic 4 star hotel in Bonifacio boasts everything from views across the Gulf of Santa Manza and a private beach, to a cheese and wine cellar and a beach restaurant. You can relax in style in a rustic-chic room, or upgrade to a suite for the ultimate in luxury. Meanwhile, the Hotel Version Maquis Citadelle offers 5 star accommodation located on the cliffs near Bonifacio marina, with an infinity pool that overlooks the city. If you’re looking for something a little more within budget, however, the area boasts numerous apartments and holiday homes that you can make your own for a relaxing break. If you’re looking to do some shopping during your holiday look no further than Porto Vecchio – well known for its boutiques – where you can pick up everything from clothing and accessories to homewares. There are also good book and gift shops, as well as food shops. During the summer, the town offers night shopping, and there’s a vast merchant flea market in August that shouldn’t be missed. Bonifacio also has its share of food and fashion boutiques, where you can find luxury alongside more affordable items. Despite being only a small village, Figari has made a name for itself among wine lovers. It has one of the oldest vineyards on Corsica, producing brands including Domaine Petra Bianca and Clos de Sarcone, so be sure to pick up a bottle or two. Pozzo Di Mastri in Figari is set in beautiful gardens with an outdoor seating area, and offers rustic French and Mediterranean cuisine. There’s no menu; the chef simply rustles up meals of vegetables, charcuterie and stews with what is fresh in that day. U Fuconu offers traditional Corsican cuisine on a hillside overlooking the mountains, with savoury beignet pastries among its specialties. As you’d expect on an island, seafood is high up on the menu. Best places for seafood include the restaurant at Hotel U Capu Bianca, where you can dine on a terrace overlooking the bay. Scen’e Sonniu is a live entertainment and street art festival, with touring companies from Corsica, France and wider Europe descending upon Porto Vecchio. Bonifacio’s week-long Argentinian Tango festival in June offers film screenings, concerts, exhibitions and the chance to learn and perfect the dance. The Festi Lumi is dedicated to lights and music. 10 of Bonifacio’s monuments are adorned with lights to allow night-time exploration of the town. This historical rally, recreating an event from 1970­-80, has a route that takes in all of Corsica. Over the course of four days, you can follow it across small inland roads and night trials, in a must for car enthusiasts.